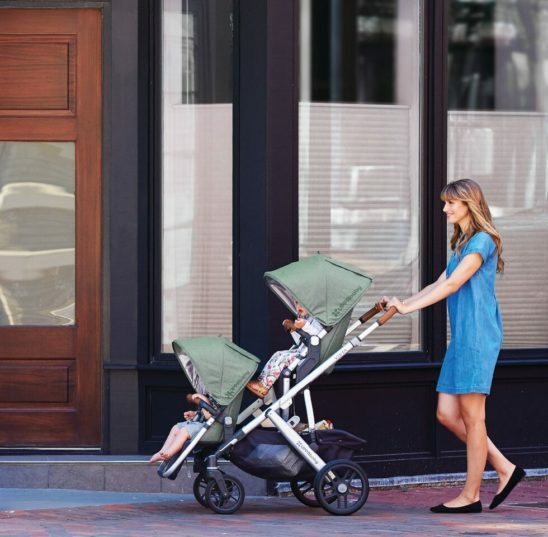 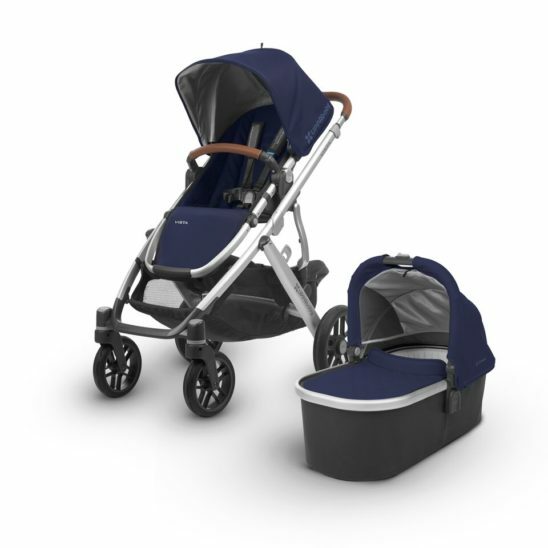 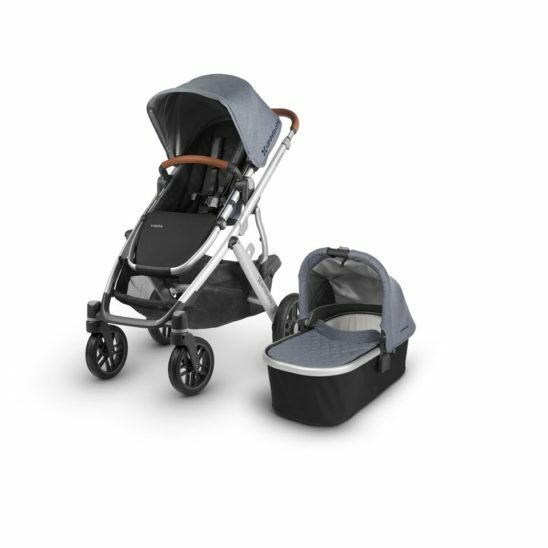 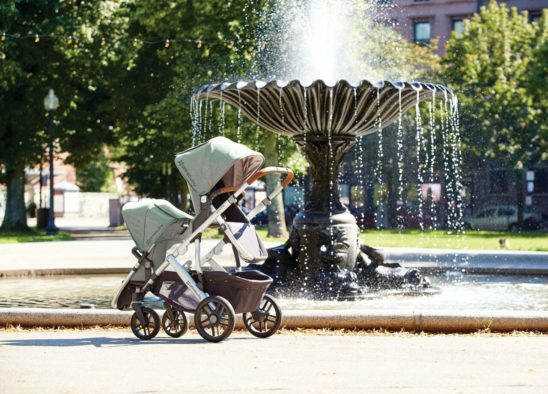 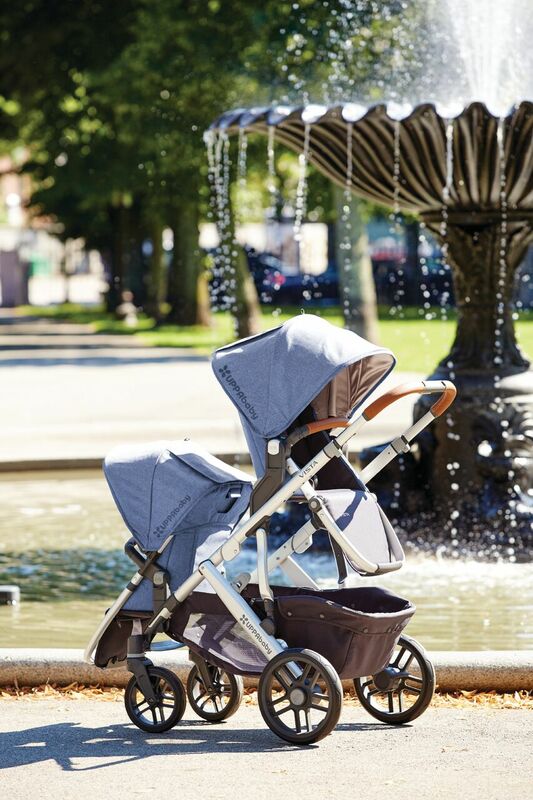 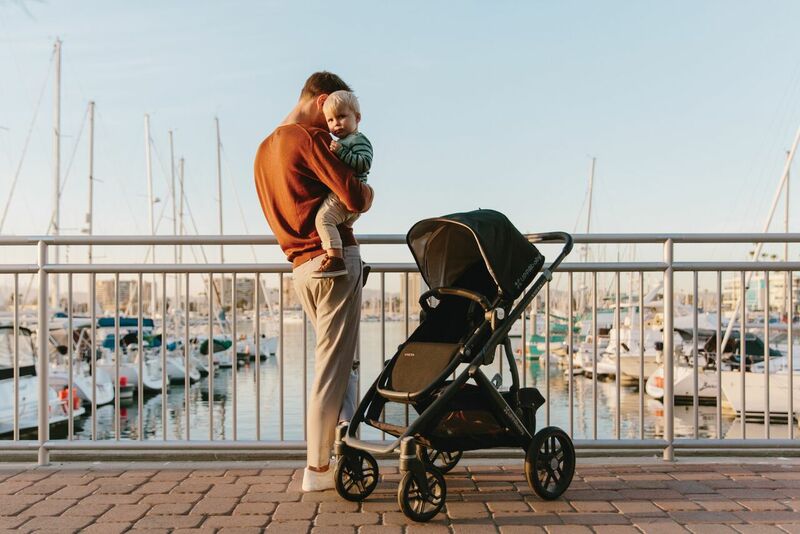 The Vista’s intuitive design allows for multiple configurations, making transporting a second and third child a breeze — all while strolling like a single. 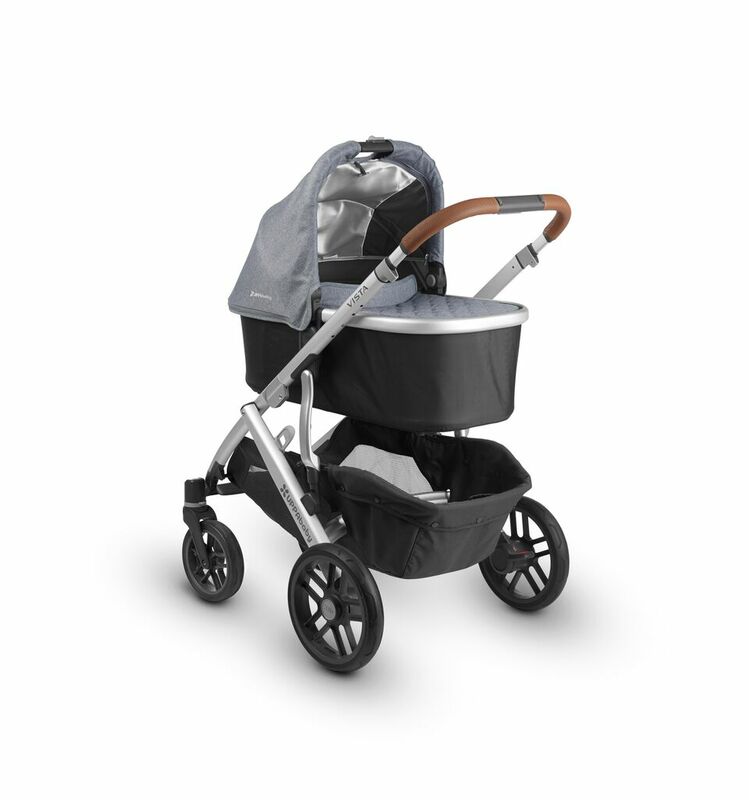 Suitable from birth, up to 20 lbs, or until infant can push up on hands and knees, whichever comes first. 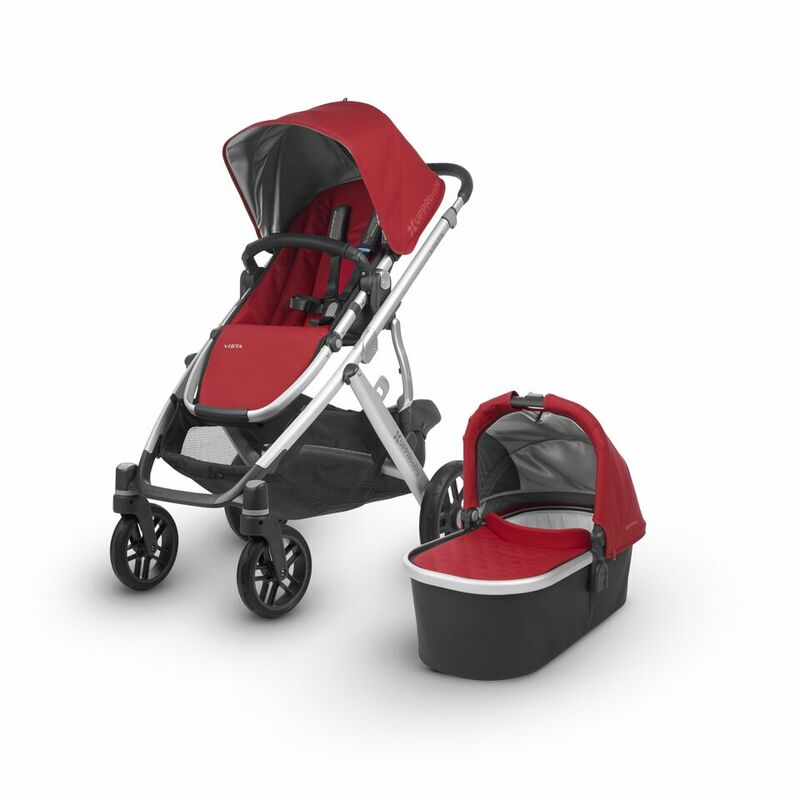 Zip-out, water-repellent inner liner and boot cover are easy to remove and clean. 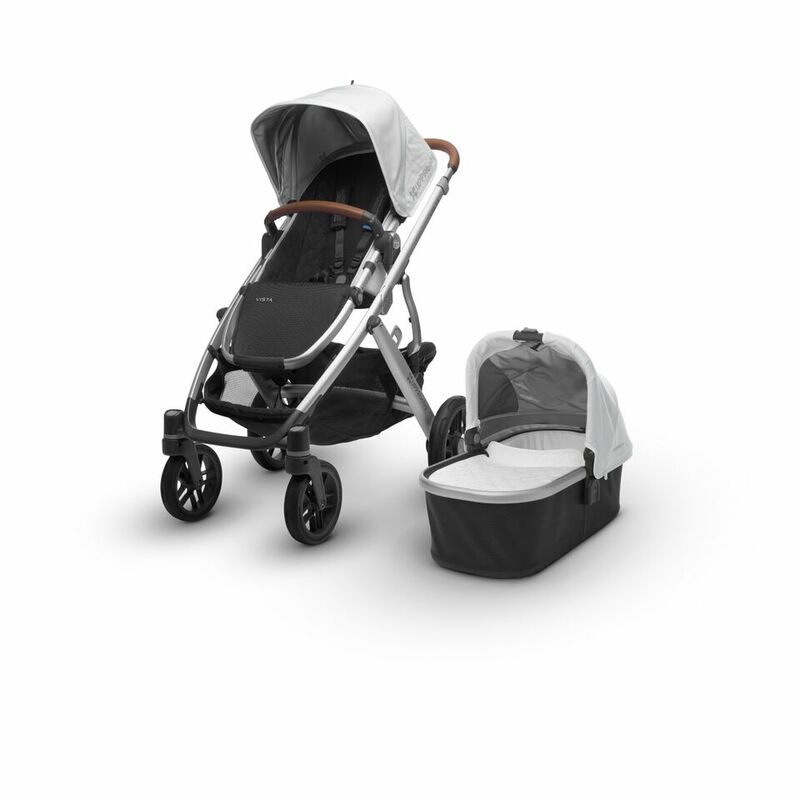 Perforated mattress pad, vented base and canopy allow for added breathability. Extendable, pop out UPF 50+ sunshade. Depth and ventilation provide a safe overnight sleeping solution. 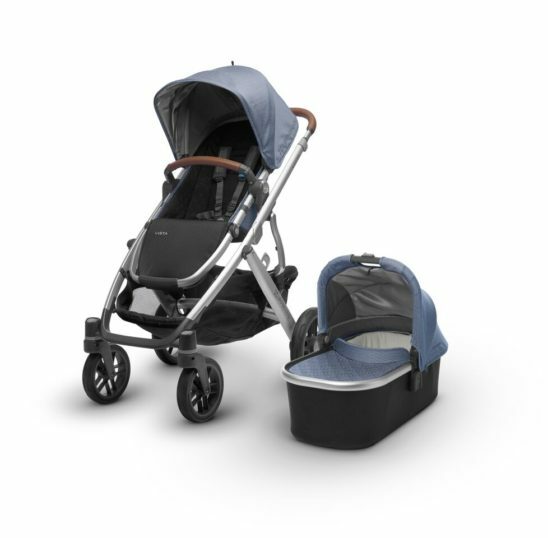 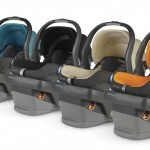 Expandable seat selections allow for two rear and forward facing, reclining seats; two Mesa infant car seats, two bassinets and countless other combinations. Shock-absorbing front and rear suspension. Extra-large, easy-access basket with 30 lbs weight limit. 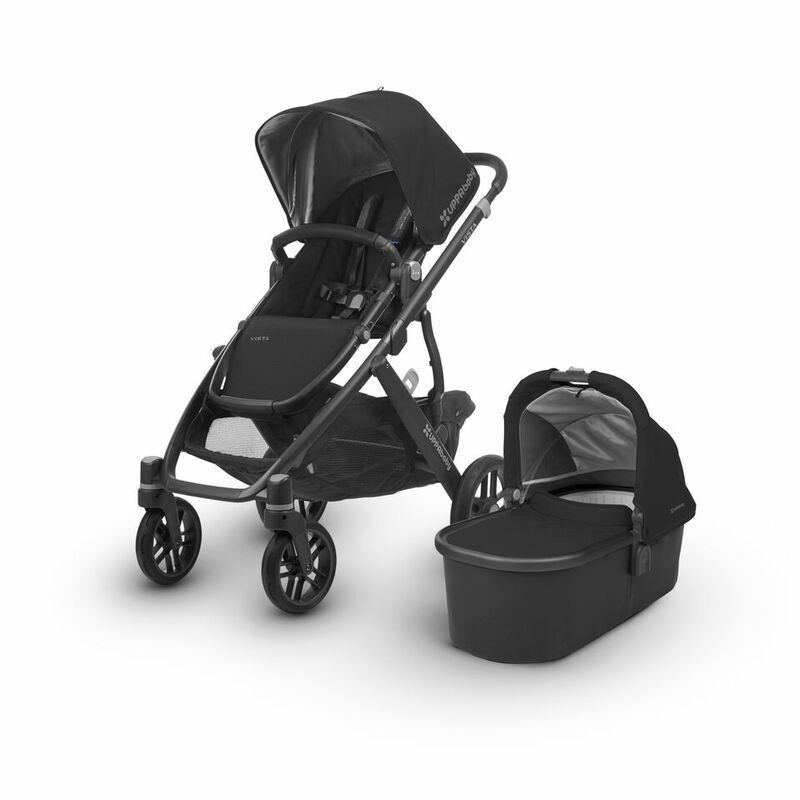 One-step fold, with our without toddler seat attached and stands when folded.